One of the most popular and common directions in photography is portrait photography. But how to make a portrait ideal? It's not enough just to follow all the rules of proper camera settings and lightning. You need to retouch the pictures in Photoshop. Our bundle of free portrait Photoshop actions will help you. This bundle consists of 6 main filters for retouching eyes, teeth and skin. Skin retouching is one of the most advanced skills in photo retouching. Our actions will help you retouch like a pro with only skills of a beginner in short time. These free Photoshop actions for portraits help make your customers' skin ideal by getting rid of excess gloss and minor imperfections in a few simple clicks. Our free Photoshop elements actions for portraits include additional opportunities of whitening eyes and adding a contrast to the photos’ colors. 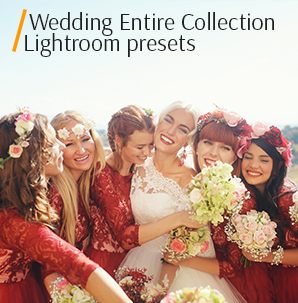 Our free portrait actions for Photoshop don’t make an additional contrast by using highlights or shadows. PS Action #3 "Color Tone"
PS Action #5 "Smooth Skin"
PS Action #6 "Whitening Teeth"
You can be a professional or a beginner, but it's so easy to generate incredible quality photos by using these free Photoshop portrait actions that our designers created specifically for you. This set of six actions will change your long and tedious routine of retouching photos forever. 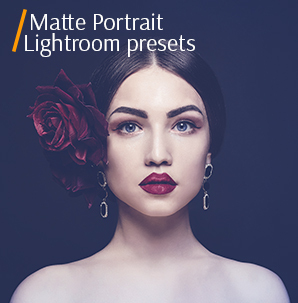 This collection of free portrait actions for Photoshop was created in order to satisfy the entire spectrum of headshot and portrait photographers’ specific needs. With this bundle, you can get everything from color corrections to professional teeth whitening. Use our Photoshop free portrait actions and the retouching process will take a couple of minutes to make a perfect portrait. Imagine designing a highly professional photo with just a couple of clicks and all these thanks to our free Photoshop portrait art actions. In addition, all our actions are very easy to install and easy to use. Portrait Photoshop Action #1 "Bright Eyes"
The eyes are the mirror of the soul, and the main focus of the portrait photo. This action will help make the eyes of your model more vivid and expressive. 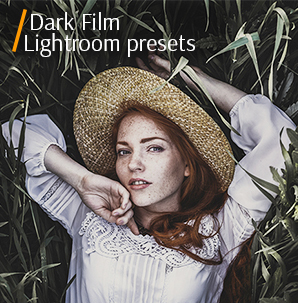 One of the most requested free portrait Photoshop actions is Bright Eyes PS action. It is used to make the eyes of the model more expressive and attractive. Photoshop Portrait Action #2 "Burn"
For photo retouching, select a light photo. Since the dark one will look sharp and rough. It’s not recommended to use the photos with bright and colorful background. 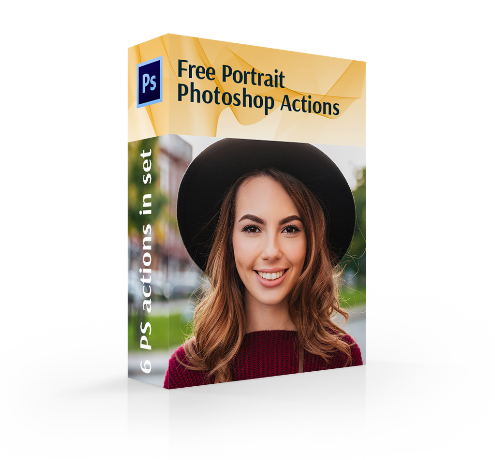 This action is one of the greatest free portrait actions for Photoshop because it will slightly darken your photo, emphasize and highlight face features, make face brighter and more expressive. This doesn’t change the background of the photo. Changes apply exclusively to the face of the model. Photoshop Action Free Portrait #3 "Color Tone"
A great opportunity to retouch photos with a huge amount of various details on the background. Before retouching the skin’s color, correct the white balance. This PS action corrects the color balance of the entire image. Often happens, that skin looks or appears bright-red or too pale on the photos. This action will help to smooth the skin color like it has a healthy natural shade and retained the texture. You would never have thought that your photo was retouched after applying this Color Tone action. Our designers tried to create these free Photoshop actions for portraits and help you make perfect color correction without destroying the photos structure. Photoshop Action Portrait #4 "Highlights"
Use this action to increase the brightness of the shaded areas on the images, the remaining fragments of which are well lit. One of the best free Photoshop portrait art actions for creating an incredibly attractive shining portrait, this action works just fine because it affects only the whole photo. Due to this action, you can "show" the details in the light part of the image. Free Portrait Photoshop Action #5 "Smooth Skin"
All the flaws will be hidden by reducing the opacity, but the pores on the skin are almost invisible. If necessary, you can work with the blur settings. This method is best used for quick retouching of portrait shots. One of the most popular free Photoshop actions for portraits is one for making shining and velvety skin. This action makes the skin smoother without disturbing its structure. With these settings, you can quickly and easily remove acne, dark circles and any other undesirable defects. Most important that this action won’t blur the essential parts of the portrait, for example, it won’t deal with eyes, lips or hair. Portrait Photoshop Action Free #6 "Whitening Teeth"
Use high-quality photos to magnify. When selecting a photo for retouching, remember that most people have a natural yellow tint of teeth and too white teeth will seem unnatural. Do not overdo with white. This useful action helps to get rid of unwanted yellowness on the teeth and change the color to a beautiful shade of ivory or pearl. This process occurs due to the change of brightness and color of the selected area.